31-year-old chess grandmaster Gawain Jones is no. 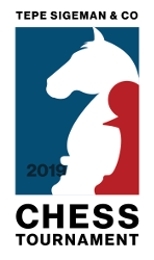 4 on English Chess Federation rating list. He has been a member of the English national team since 2008. He was successful already as a boy and in 1997, he became the youngest person ever to defeat an international master in a competitive game. 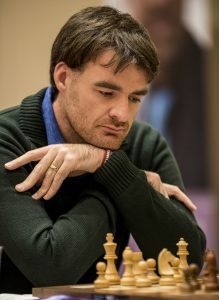 He became a grandmaster in 2007 and won the British championship in 2012 and 2017. He also won the Commonwealth Championship in 2011. Jones is a true globe trotter, having lived in England, Italy, Ireland, Australia and New Zealand, but is now back in Yorkshire in England. In addition to being one of England´s strongest chess players, he is also a well-known chess book author and has, among others, written a two volume book on the Sicilian Dragon, one of the sharpest and most popular chess openings.